Jessica Livingston Barden was an All-American Lacrosse Player at Sweet Briar College in Virginia. Her passion and love for the game, combined with good coaching and some natural skills, led her to start AZGL. We know her at AZGL and Desert Heat as the founder of this organization. We also know she is the head coach of the Chaparral Varsity Girls Lacrosse Club in Scottsdale and has lead them to four state titles. In her quest to grow lacrosse at a national level, she has served on the US Lacrosse Board of Directors and many other committees in the past. Today she serves on the US Lacrosse Youth Subcommittee, Coaches Education Committee, and Sport and Development Committee. She is also a Level 1 certified trainer in the US Lacrosse Coaching Education Program. In 2010, she received the Excellence in Growing the Game award from US Lacrosse. Tyna Murphy is originally from South Portland, Maine. She moved west and played college lacrosse at Arizona State University where she was team captain and a 1st Team all star for the WWLL her junior and senior year. She then continued as Head Coach of the Sun Devils for 5 years. 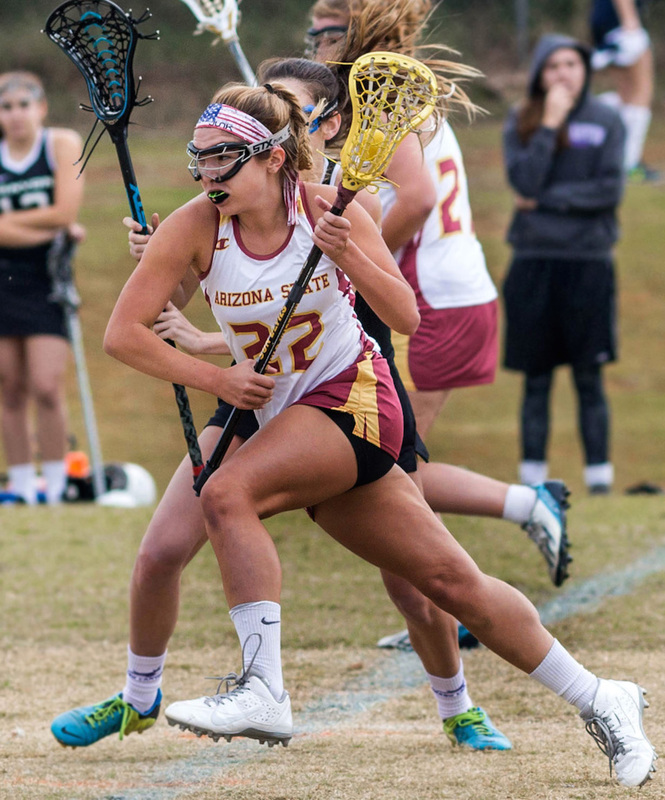 During her time with the Sun Devils the team made their first appearance in the US Lacrosse WCLA National Championship Tournament where they received the Team Sportsmanship award. Tyna is also a founder of Desert heat, a Nationally rated Official, the current Local Board Chair for the AWLUA, sits on the National Umpire Committee (WGOSC) and US Lacrosse's Sport Development Committee. Tyna is also a Desert Stix coach and Co-Founder of Desert HEAT and professionally, a Certified Strength and Conditioning Coach/ Personal Trainer with FasTraX Performance Training. Kerrilynn Gallagher Kerrilynn is originally from West Chester, Pennsylvania and she fell in love with the sport of lacrosse when she was 11 years old. She played lacrosse throughout middle school and high school as a midfielder. Despite numerous offers to play at the NCAA Division One level, she chose to continue her education at Arizona State University an played on their club team. She was a captain and two-time WWLL 1st team all-star. She was also the club president and ASU's club sports board member. In 2005 she lead ASU to the National Tournament where they were honored with the sportsmanship award. She has served on the AGLA board in Arizona and also coached at Chaparral. You will here the girls joke about the way she says "go get some water." Allison Hilderbrandt is originally from Pennington, NJ and has recently moved to Arizona. She played Division 1 lacrosse at George Mason University in Virginia where she was a four year starter playing midfield and attack. She earned All conference honors for the CAA during her senior year and was also named to the All-CAA rookie team as a freshman. 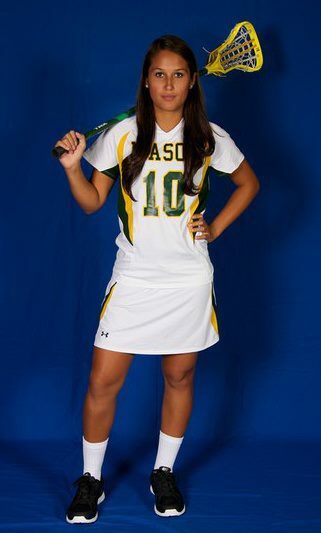 She was the leading scorer for GMU and also led the team in draw controls her senior year. She won three consecutive NJ state sectional championship titles in High School where she excelled as a midfielder. Allie has also coached numerous leagues and camps in both VA and NJ through the George Mason youth lacrosse, Trio lacrosse and Campbell lacrosse programs. Allie is currently an Assistant Coach at Desert Mountain High School and she also works full time for Yelp in Scottsdale. She is very excited to be part of women's lacrosse in Arizona. Whitney Leavitt is originally from Hockessin, DE and found her way to St. Charles, MO to pursue her love of Field Hockey and Lacrosse where she played competitively at Lindenwood University. As a freshman, Whitney was selected as the Lions Lacrosse Team Captain and regained that honor as a Sophomore. Whitney was also awarded as Lindewood’s Most Valuable Player and earned various conference awards as well. 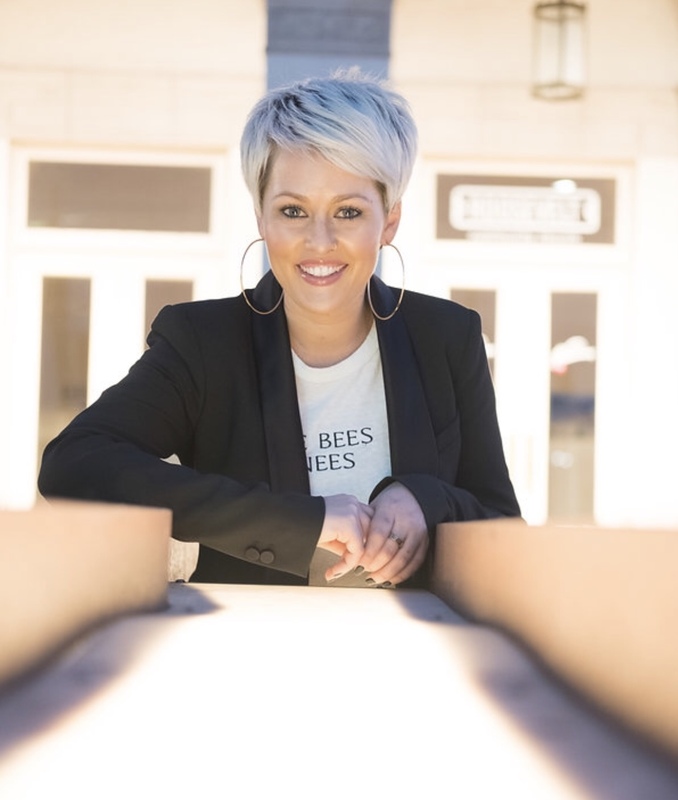 Whitney moved to Fayetteville, AR to finish out her degree at the University of Arkansas where she created the first women’s collegiate lacrosse club in the state. Arkansas made their first appearance to the CPWLL playoffs just 7 months after evolving as a sport at the U of A. Whitney finished off her playing career at Arkansas by being selected as a US Lacrosse/IWLCA All-American Midfielder, CPWLL’s Most Valuable Midfielder, CPWLL’s First Team All-League, CPWLL’s First Team All-Conference and Arkansas’s Most Valuable Offender and Midfielder. Whitney served as the Head Coach at the University of Arkansas for two more years until she accepted the Head Coach position at Thiel College (DIII) in Greenville, PA. After a year at Thiel, Whitney moved to the eastern side of the state to pursue her career in business which then lead to taking a job in Arizona. Upon arrival in Arizona, Whitney pursued her love of the game by accepting the position of Head Coach at Gilbert High School. Whitney coached Gilbert for 3 seasons and recently stepped away to focus her efforts on the youth level. She continues to serve as a coach for Desert Heat and Desert Stix and is loving every minute of it! Melissa Montoya Buel was born in Bogota, Colombia and moved the Arizona in 2000. She played lacrosse for Horizon High School and traveled with Desert Heat. She was a team captain and a 1st Team all star for the WWLL when she played for The University of Arizona Lacrosse Team. After college, Melissa moved to North Carolina to teach English as a Second language. In 2014, she moved back to Scottsdale for a job opportunity in the financial industry. She now plays for the post Arizona post collegiate team and is the head of the Pixi program in Scottsdale. She is excited to grow the love of the sport in Arizona at an early age. Kali Bills is from Scottsdale, Arizona and began playing lacrosse her sophomore year of high school. She started her lacrosse career as an attack player for Notre Dame Preparatory and helped lead the team to their very first win in program history. During her senior year, she was named AGLA All-State and was awarded Attack Player of the Year. She also played for coach Jessica Barden on the Arizona Heat team during high school. 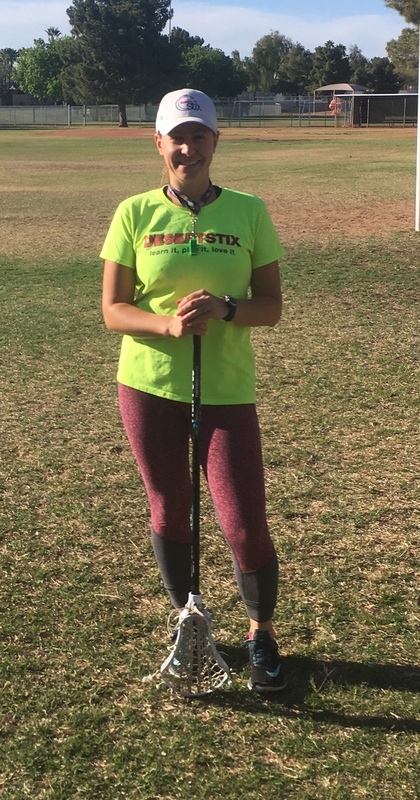 Her passion and love for the game made her decision easy to bring lacrosse to Northern Arizona University, where she studied exercise science. In 2009 she founded the NAU Women’s Lacrosse program and applied for membership in the Western Women’s Lacrosse League. As a player-coach Kali discovered her passion for coaching, and committed to coaching the team full time during her last season at NAU. 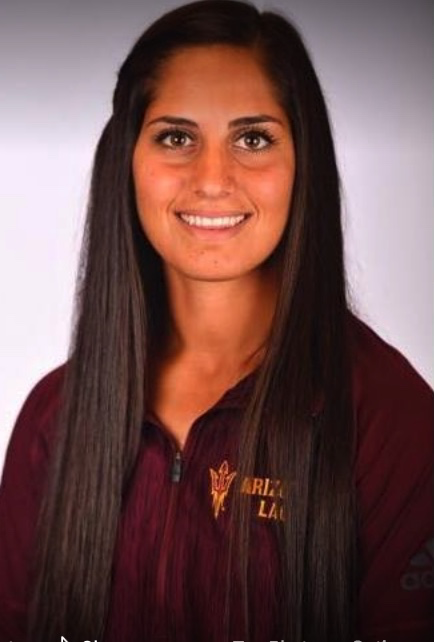 Coach Lexi Kasofsky is from Gilbert, AZ and began playing lacrosse her freshman year at Gilbert High School. She was also apart of the club team Desert Heat, and played as defense and midfield throughout both programs. She was voted team captain, team president, invited to play for Team Arizona at the National Women’s Lacrosse Tournament in Philadelphia, was awarded MVP from Desert Heat, and attended a variety of tournaments for recruiting. She chose to start her college career being apart of the inaugural program at Gardner-Webb University, which competed in the NCAA D1 bracket. She was named captain there and primarily played defense. After two years of attendance, she transferred to Arizona State University to be apart of their start up NCAA D1 program, and finished her last two years of eligibility there. 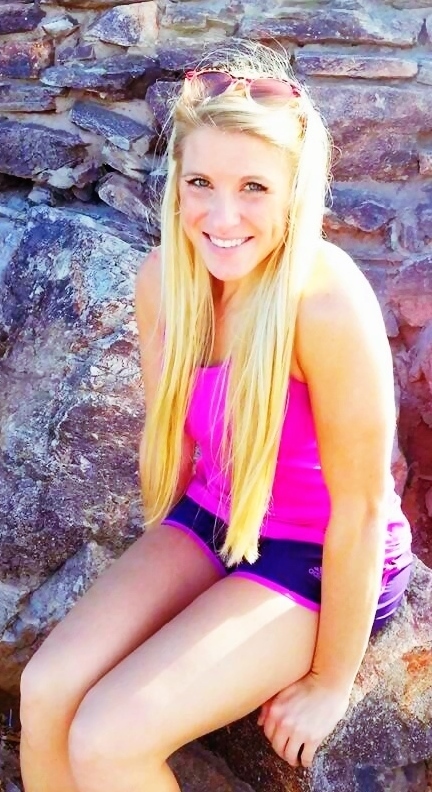 She currently still attends ASU and is obtaining a bachelor’s degree in Kinesiology. 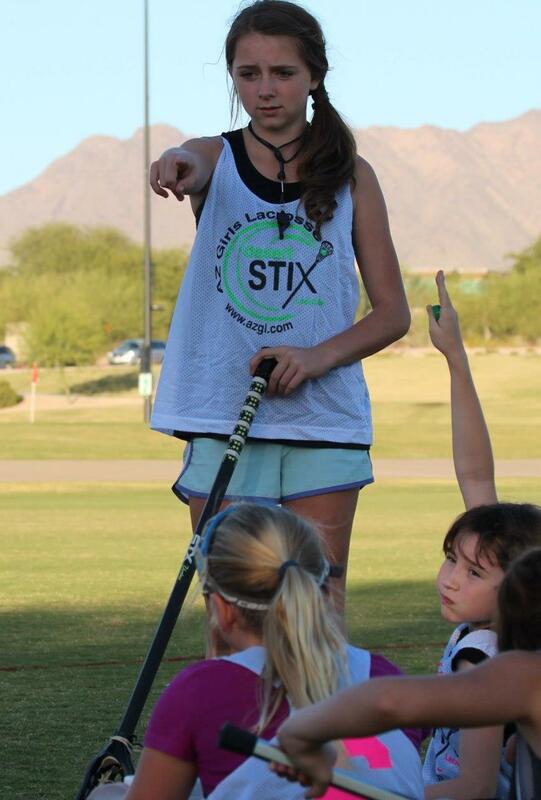 She has been coaching for Desert Heat and Desert STIX for the past four years, and is extremely passionate about spreading the love of the game to the youth. Lisa is from Minneapolis, Minnesota, where she helped form her high school lacrosse team. As team captain for two years, she won numerous awards, and was selected twice for the Minnesota state girls' team to travel to the Vail Lacrosse Shoot-out. She played club lacrosse at Bethel University in St. Paul, MN, where she was captain for two year, led the league in scoring, and brought the team to the WCLA national tournament. Lisa played with the Oxford Women's Varsity team while studying abroad there fall of 2005. During her college career, she also coached JV at a local high school, leading them to nearly undefeated seasons every year. Lisa later coached at the collegiate level, returning to coach at Bethel University. 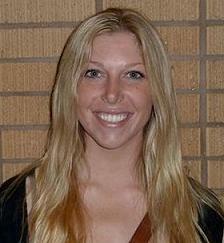 She is currently an assistant coach at Chaparral High School, and an elementary school teacher in Scottsdale. Caitlyn O’Brien grew up in Scottsdale, Arizona and played for the Desert Mountain girl’s lacrosse team. A love for the sport and the influence of great coaches allowed her to travel to tournaments with the Desert Heat team and XTeam. She was named All-American and Academic All-American, and went on to play D1 lacrosse for the George Washington University, where she majored in Business Economics and Public Policy. During her time at GW she was named to the Atlantic 10 Second Team All-Conference team as a defender and to the IWLCA Academic Honor Roll. Caitlyn is an assistant coach for Desert Heat, Desert Stix, and Desert Mountain, and works full-time for Deloitte Consulting. Madi Hicks started playing lacrosse in high school at Pinnacle High School in Arizona. She also participated in Desert Heat throughout her highschool career. She was on the Woman's National Team for Team Arizona and was seclected as an all-state player. She was nominated for the Arizona all-star team from the year she started playing until graduation. After looking at schools to play lacrosse, she picked Lindenwood University in St. Charles, Missouri. She is currently playing for the Lindenwood Lions, a nationally ranked team who went to the Final Four at the NCAA II level her first year playing. Arnie Zucker Arnie Zucker Originally from Detroit, Arnie moved to Scottsdale from Cincinnati, Ohio in August 2015. While Arnie never played lacrosse, he coached 4 years of boys lacrosse and 2 years of girls lacrosse in Cincinnati before joining up with Desert Stix. He has also coached youth football, baseball, hockey and basketball. He has two daughters in the Stix/Heat program and loves seeing all of the girls having fun while improving their fundamentals and lacrosse awareness. Nicole Cosmany started playing lacrosse in first grade in New Jersey. After moving to Arizona she started playing in Desert Stix and has been a part of Desert Heat since the very beginning of the program. She has also gained experience playing for XTEAM and four years on Pinnacle High School’s varsity team. She has been a captain of the Desert Heat U15 National Team, Pinnacle’s varsity team, and Team AZ. She was named to the AZGL All-Star Team in 2014 and awarded First Team All-State Defender twice. Nicole hopes to continue her lacrosse career next year in college. She has been playing and coaching for Desert Stix for the past 7 years and loves working with the players and helping to grow the sport. 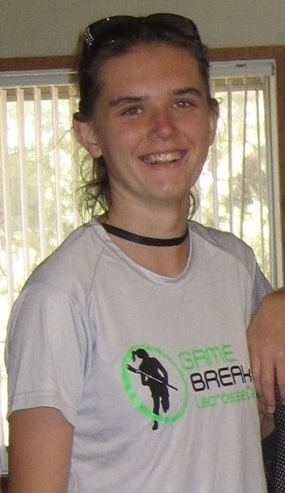 Ivy Richey was born and raised in Chandler, AZ and began playing for Desert StiX in 8th grade. She played for Desert Heat throughout high school, along with being a four year Varsity player for Desert Vista High School where she was a two year Captain and Defensive MVP for both teams. She currently plays for Arizona State University where she earned Rookie of the Year last season. Ivy volunteers her free time to both our Desert StiX program and the Desert Vista team. She currently sits on the Arizona State Lacrosse Board as Treasurer. 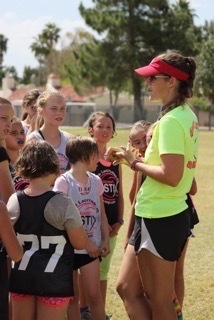 Ivy loves coaching and allowing young athletes to find the same love for lacrosse she did through Desert StiX. Nicole Eakins started playing lacrosse in Penn Yan, New York. She is well traveled playing in Germany and in the states. She recently played for Chaparral High School and graduate in 2014. She played on the Desert Heat travel teams since her sophomore year. She continues to volunteer her time and helps out as much as she can with our Desert StiX and Desert Heat teams. Aly Smith started playing lacrosse in middle school with Desert Stix coached by Jessica and Tyna. She now attends Pinnacle High School and plays, as a Goalie, for them. She has won 3 State Championships out of the 4 Pinnacle has won. She has continued to participate in Desert Heat throughout her high school career. She was on the Woman's National Team for Team Arizona since Freshmen year. She has received many All-State awards and Sportsmanship awards. She has verbally committed to Lindenwood University in St. Charles, Missouri and will be attending the school next fall. She is now working her way through her Senior year of high school and playing with Desert Heat. Amber Eakins is a junior at Chaparral High School. She started playing lacrosse in Penn Yan, NY at the age of four. Amber started playing for Desert Heat and volunteering as a coach for Desert Stix when she moved to Arizona from Germany in 2009. Where she won the U16 German National Championship at the age 12. She has received a number of awards from a Sportsmanship award to MVP. She also was the captain for Desert Heat U15 National Team. Amber currently plays on her varsity high school team and U17 Desert Heat team. She has hopes of continuing playing in college. Anna Belle Reily's lacrosse career started in 4th grade playing in the Desert Stix program. From there she moved on to playing club lacrosse on Desert Heat. She also played on a national club team called XTEAM. She is currently a senior at Notre Dame Preparatory and has played lacrosse there all 3 years. She is planning on playing her senior year there as well. Her junior year of high school she was nominated MVP for her high school team. She has made the All-Star team every year. She was named All State Honorable Mention her sophomore year and All State Attacker her junior year. She plans on continuing her lacrosse career in college playing at the D1 level at Wagner College in New York City. She has had lots of coaching experience over the years and enjoys seeing the game spread. Mary Petersen is a Desert Heat Alumnae and has been playing lacrosse for 9 years. She played with Desert Heat for 3 years, 4 years at Xavier and 1 year at ASU. Mary coached for Desert Heat the summer after she graduated from high school before moving on to college. She received her Bachelor’s degree in Neurobiology from Barrett, The Honors College at ASU in December and her Master’s in Biology from ASU in 2017. Mary also recently completed her training and testing to become a Certified EMT. She is studying for the MCAT in January to become a neurosurgeon for the Air Force with later aspirations to become a pediatric neurosurgeon. She loves lacrosse because of how much the sport and people she met helped her grow which is why she decided to come back to coaching now that her busy schedule has calmed down. Jo Bauswein is originally from Cleveland, OH where she started playing lacrosse at Kenston High School; and was the first female to receive a lacrosse scholarship to play in college. 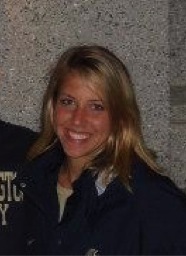 Jo started as a defender for three years and draw specialist for one year at Notre Dame College in Cleveland. She has coached for Laurel School in Shaker Heights, OH, The University of Utah, True Lacrosse as well as individual clinics and private lessons. Jo continues to play whenever possible and loves passing on her passion of lacrosse to others. Lauren Fidati is originally from Bel Air, Maryland where she started her lacrosse and field hockey career as a defender at C. Milton Wright High School. During those four years the Mustangs appeared in 3 state championship tournaments. Lauren was named a Captain for both sports as well as All-County honors her senior year. Lauren traveled with club sports representing H20 Hockey and 543 Lacrosse. With a love for both sports Lauren selected to continue her education and athletic career as a dual- sport starter at Widener University in Chester, Pennsylvania. After college Lauren moved to Alaska to continue her professional career. 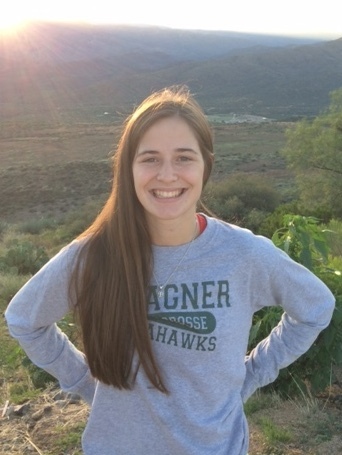 Lauren relocated to Arizona during the summer of 2016 and wanted to get back involved with lacrosse. She started coaching Dessert Stix in the fall of 2016. She continues to coach Stix and Desert Heat. Lauren is excited to be giving back to the sport that gave her so much over the years as well as growing the sport in Arizona! Sarah was born and raised in Draper, Utah and attended Juan Diego Catholic High School where she was the founder and captain of her high school’s girls lacrosse team. 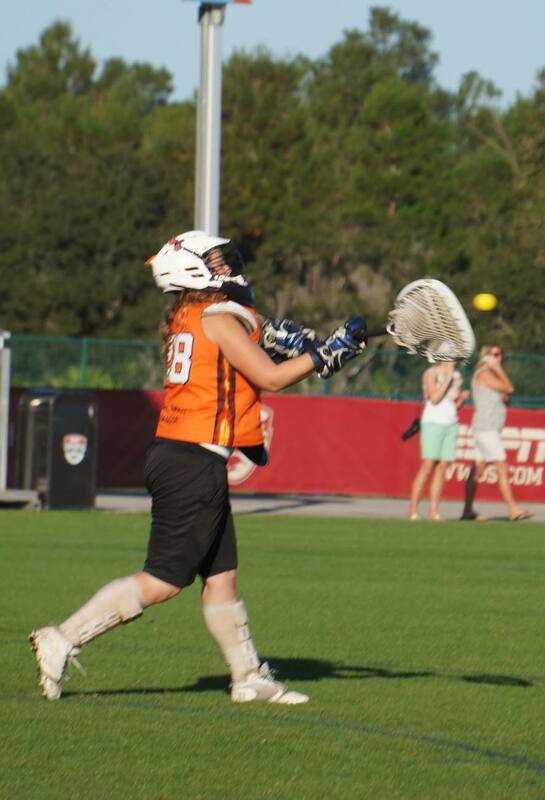 While finding her passion for the game as the sport grew in Utah she was able to travel to the East meets West lacrosse camp in San Diego and competed in the all star lacrosse game both her junior and senior years of high school. In college Sarah played recreationally at the university of Utah and then transferred to Arizona State University where she graduated with her bachelors in business and hospitality. Throughout her life she has found fitness to be a part of everyday life and loves the lacrosse community and what it does for both the players and their families. Sarah now works as a hairdresser and is excited to be apart of the Arizona lacrosse community and share her love of the sport with her team and fellow coaches.